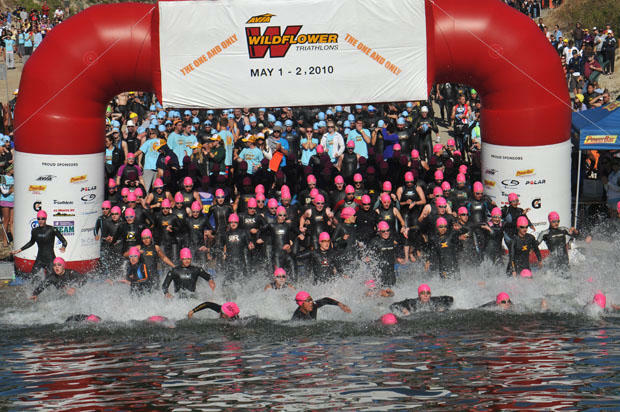 This past weekend, for the first time in its 34-year history, the Wildflower Triathlon festival was not held on the first weekend in May. For half a decade Lake San Antonio remained spookily empty due to a drought that drained all but 7 percent of its water, but 2016 was a low point as dwindling entries forced race organizers to cancel the iconic event this year. Now hope is renewed. 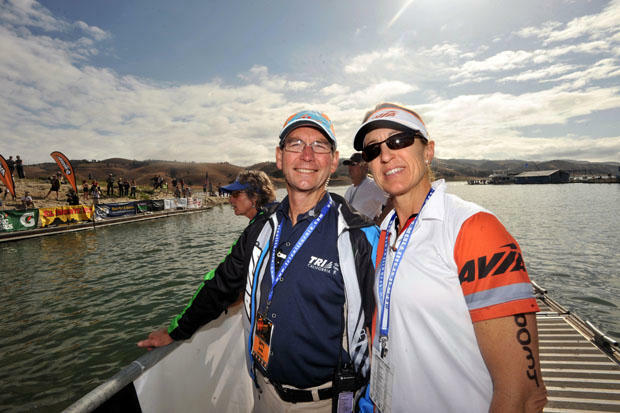 Tri-California president and Wildflower founder Terry Davis declared that the iconic half Ironman distance race will be held once again next year. After five years of a drought that lowered water levels in Lake San Antonio to 7 percent of capacity, strong winter snowfall in the Sierras and consistent rains throughout central California have raised water levels in the lake to 57 percent capacity. According to Davis, the water level in Lake San Antonio is now within 5 feet of its maximum depth. 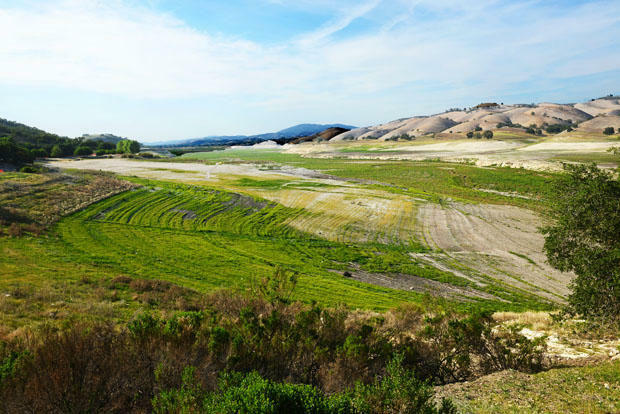 At the worst of the drought, the length of the lake was just 2.5 miles – now it is at 13.4 miles of 16 miles capacity. Whereas last year there was no water visible at the central Lynch Campground boat ramp, and the Wildflower swim was moved 2 miles away to Harris Creek, now the recently empty lake is virtually full. Davis sees Wildflower as a survivor in an era of an expanding roster of worldwide distance triathlons. With so many more races around the globe, has the nature of the triathlon tribe changed a bit? Are there fewer people looking for a bigger challenge? Do many more prefer easier courses and faster times? Davis said he received permission to hold the Wildflower Triathlon festival on the first weekend in May of 2018 from Monterey County Parks Department special events manager Lavonne Chin. Lake San Antonio is having what officials termed a “soft opening” for recreation customers from April 14 to May 14 this year and will be open seven days a week starting May 19.